Kathy's Photography Portfolio. Veg Food Photos. My photos are available for licensing, but hopefully you'll just like perusing the yummy recipes in super sized photos: just click the little arrows to see the thumbnails in big sizes. I hope you all like it as much as I do! 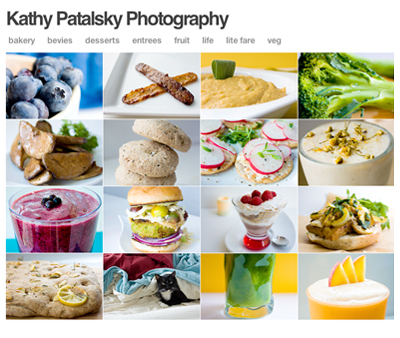 And yes, all the recipes from the photos were created, prepared and photographed by me - all are featured on this blog. All 100% vegan. I will be adding a few more photos to this site in the future, but it will not be updated regularly - keep checking my blog for the latest recipes, tips and happy healthy stuff. Let me know what you think and please re-post if you want to spread the happy yumminess!